Hello, June! Summer is an especially exciting time of year for me. As a teacher, June brings the excitement of more time with my girls and just being able to relax. Plus, it gives me a lot more time to finish all those projects on my to-do list! Ahhh, summer is calling my name! 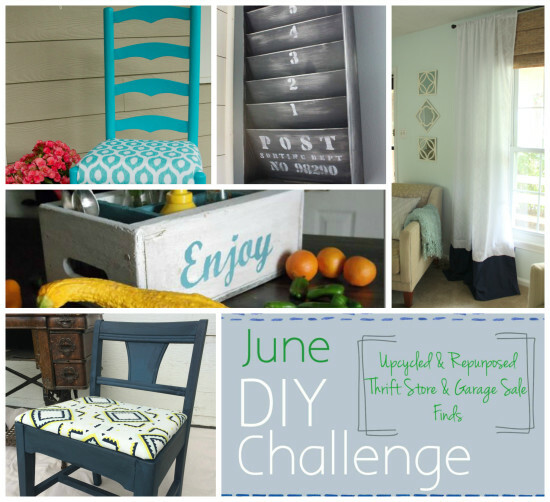 A few DIY bloggers and I have decided to take part in a monthly DIY challenge. On the first Monday of every month, we’ll all share a project based on a theme. This month, I’m completely in my comfort zone. 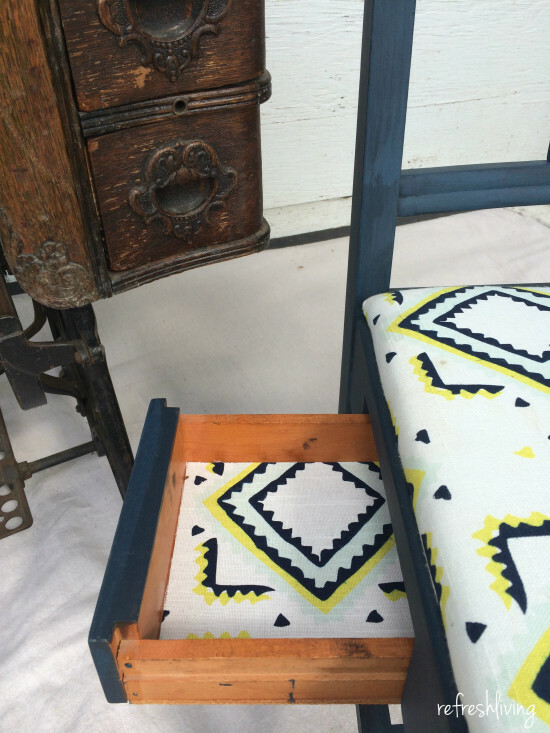 Find a diamond in the rough at a garage sale or thrift store and bring it back to life with a makeover. 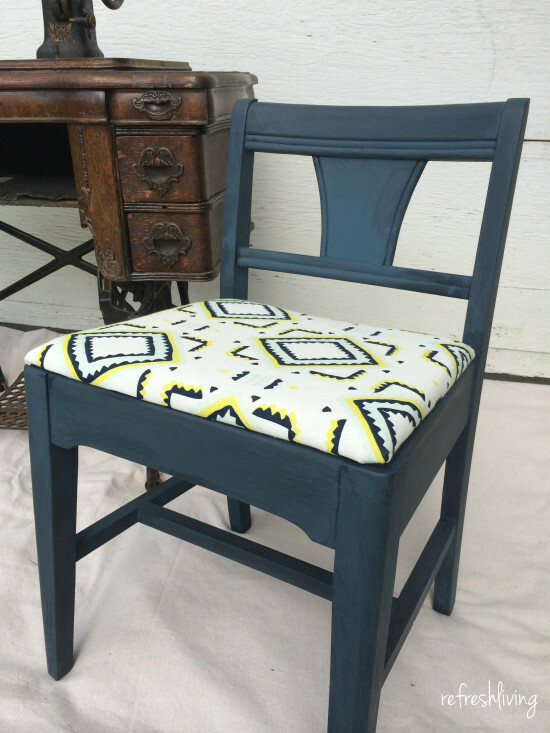 After checking out my sewing chair, I’d sure love it if you checked out the other awesome projects created this month! 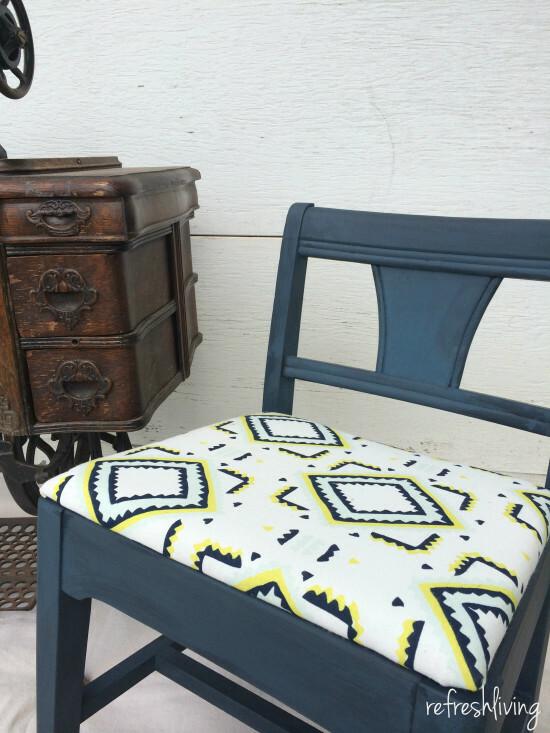 I found this adorable little chair at a garage sale, and as I picked it up a little drawer fell out, making it that much more charming! What was not so charming were the four layers of smelly fabric, the disintegrating foam, and the scratched and worn finish – nothing that can’t be fixed with a little paint and fabric, though! I used Miss Mustard Seed Milk Paint in Artissimo, and the second coat unintentionally ended up being a tad lighter, so it created some variation in color. Not really the look I was going for, but it’s okay, I can live with it. Underneath that red corduroy fabric were three other layers of fabric and some remnants of foam. 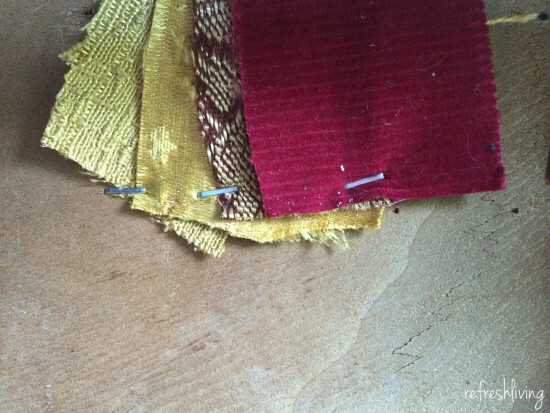 I love what Christy from Confessions of a Serial DIYer did when she uncovered multiple layers of fabric on an old bench – she stapled a swatch of each fabric on the bottom. I took her lead, and did the same for this chair. Now, the burgundy reds and mustard yellows will always be remembered. I used ModPodge to line the fabric on the inside of the drawer. It’s the perfect place to stash that pair of scissors that I’m always searching for in the middle of a project. 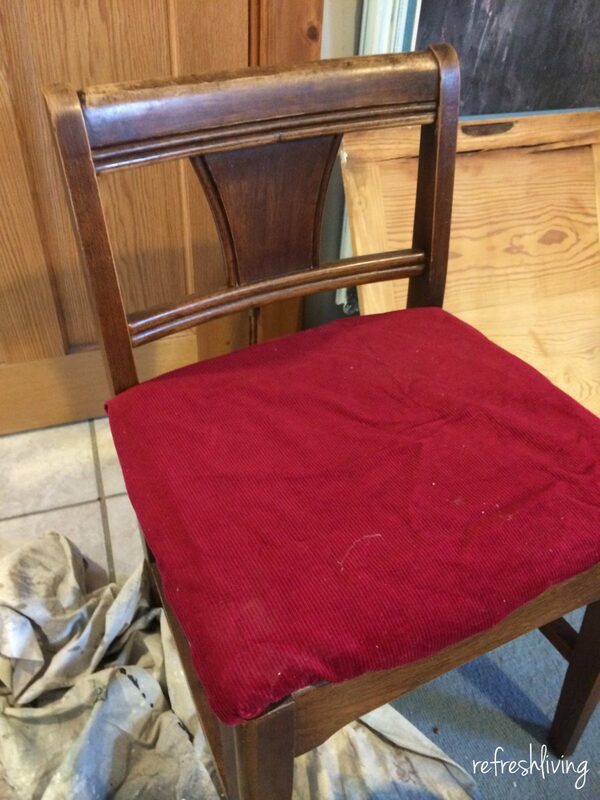 Oh yeah, and I know that the antique sewing machine is nowhere near from the same era as this chair, but I just had to include it in the photo. I found it at an estate sale for $20. Yes, $20. Of course, I have big plans for it, but for now, it’ll just be eye candy in the background. Like what you see? I’d love for you to follow along! 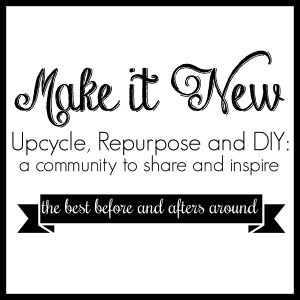 Now, you must go check out the other trash to treasure makeovers! 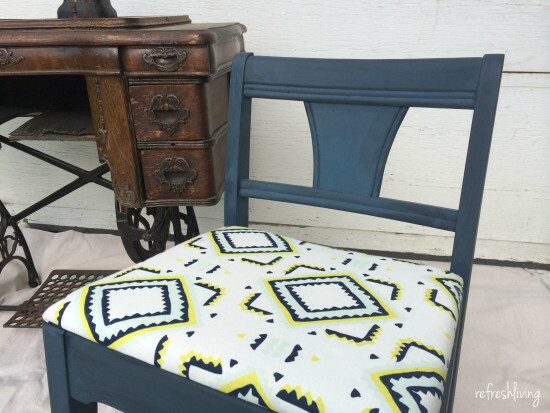 Linking up with Saavy Southern Style and these awesome parties! Join the subscriber list to receive one to two emails per month with updates from the blog. 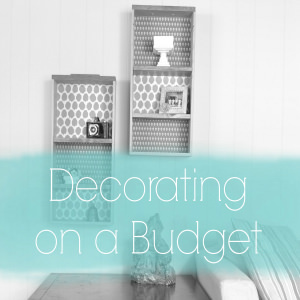 PLUS, you'll gain access to my printables and graphics library. Every new design I create will be added here, and you'll have free access - forever! Virtual high five! You're one step away; just check your email to confirm your subscription. 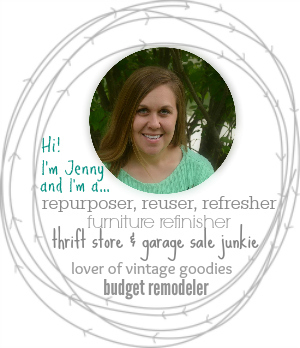 Great project Jenny! I really like that fabric you used! a drawer? how cool! I really like the look you gave it! Not enough? Click here. While you're at it, you should enter your email below to get new posts emailed to you! I'd love for you to share my ideas, but please only use one image with a link back to my original post. It is not permitted to crop, alter, or edit any of the images that appear on this site without written permission. Thanks in advance for sharing responsibly!